Saudi Arabia Research Papers discuss the traditions and cultures of this country. As one of the most dynamic country's in the study of world history, Saudi Arabia Research Papers examine the history, culture and sociology of the nation. Paper Masters can help write on any Saudi topic you need examined. Saudi Arabia is, in the minds of Americans, a mysterious country. It is difficult to understand its traditions and culture, from the basis of Western ideals and values. However, it is also a fascinating country whose society is founded on ancient religious traditions. It has orchestrated necessary cultural changes to keep pace with the rest of the world in terms of industry and technology, and has thus built and maintained a healthy economy. At the same time, it has held fast to the ideals that are so very important to the Saudis, who feel that it is these ideals that protect them from the evils that exist in Western cultures. A comprehensive study of the country and its culture will be conducted, as they pertain to the possible implementation of FGC. Many Saudis experience marked depression as a result of some of the changes in a society where traditions are so important, and Saudi Arabia has experienced marked changes in the past half century. Next, a summary of the Islamic religion must be undertaken. This summary will focus on the interpretation of the religion as it pertains to treatment of offenders and the general Saudi penal system. These details of the justice system in Saudi Arabia will have a profound effect on the success or failure of FGC, so they must be carefully analyzed. Third, the family values of the culture will also determine the acceptability of FGC in Saudi Arabia. Family is very clearly the highest priority of the citizens. The educational system in Saudi Arabia has impacted the family dynamic, and therefore will be discussed as well. The role that FGC may play in maintaining the importance of family will be discussed. The Kingdom of Saudi Arabia spans 1,960,000 square kilometers, or about 25 percent the area of the continental United States. The Capital, Riyadh, had a population of 2.5 million in 1992, followed by Jeddah, with 1.6 million people, and Makkah, with 1.5 million people. In 1997 the population was estimated at 20 million, with 90 percent Arabs and 10 percent Afro-Asians. 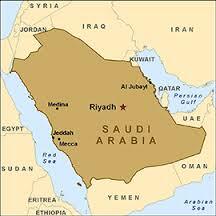 As of 2013, Saudi Arabia's population was 28.83 million. The religion in Saudi Arabia is Muslim, and the language is Arabic. Gulf War research papers write on the Iraq and Kuwait and President Bush's US military build-up. Women in Muslim Societies research papers look at the strict prohibitions of public conduct placed on women in Muslim societies. Cultural Analysis research papers examine a method of qualitative research employed in the social sciences. Al-Qaida research papers examine the Islamic militant organization founded by Osama bin Laden between 1988 and 1989. A Case Study of Khafji Joint Operations research paper discusses the effect of change in management on existing joint operations. Islamic Caliphate research papers look into a nation state, comprised of all Muslims, led by a direct successor to the Prophet Mohammad. The USA Patriot Act of 2001 Research Papers evaluate the events of September 11 2001, and the act that came into play. Women in Islamic Society research papers examine the role women play in Islamic society. Paper Masters writes custom research papers on Saudi Arabia and discuss the traditions and cultures of this country.